And just like that – it’s Friday! If you’re reading this prior to 11AM US Eastern Time/5PM Central European time – then don’t miss out on my YouTube Livestream today (Friday) with GPLama and DesFit – here to answer all your sports tech questions. But, on to the round-up for the last 24 hours. Oh, and I was going to include the Apple Watch ECG features in this, but still having some challenges with my US-account tied unit getting it to work. So more on that later. Going forward into next year, Interbike will be canceled for 2019. The organization says it may make a comeback in 2020 in a different format, but not for next year. In a detailed piece with Bicycle Retailer, the organization noted that the decision was made after taking feedback from the industry following this September’s show in Reno (a move from Las Vegas). A core reason cited by the industry was that it needed to be more cost efficient with the entire event being less expensive for retailers especially. They also noted that with the rise of bike-company specific events, there was simply less money to go around to travel to more bike shows. That’s, of course, a reference to many of the big bike brands (such as Trek) hosting their own events and inviting bike shops to travel to them. 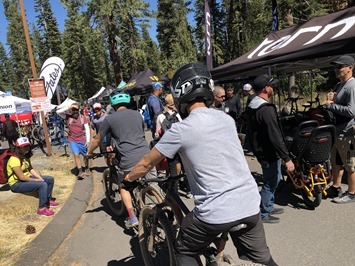 While these events no doubt provide for a more direct and intimate event for that bike brand, they come at the cost of retailers being unable to attend larger industry events. But more on that in a second. I’m actually somewhat surprised by the decision to cancel next year. While it’s no secret that most were concerned going into Interbike this year, I’d argue that most people were actually really happy with how Interbike went off this year in its new home. I thought the Outdoor Demo venue was fantastic (minor first time-locale issues aside). There was something for everyone and the scenery was stunning. It was awesome. The main convention center was also great in that it was super easy to access and didn’t require going through massive Casino’s or even paying for parking. Quick and efficient, and only like 2 minutes from the airport. I will say that having the venues separated by so far was a bit of a pain, but the structure made it work out so that it mostly didn’t matter to people. Food trucks outside was also awesome. Now while there were fewer vendors this year, people seemed pretty excited to be in a refreshed location – and as a result I expect we would have seen an uptick in registrations for next year. At this point though it’d have been too soon to really see that, since the show was too fresh. For example, I know some trainer brands, like Elite, had initially not planned to do Interbike 2018 this past fall, and then decided at the last minute to get a show booth. But back to a key point here: Lack of major brands. Companies like Trek, Specialized, Cervelo and many other bike brands aren’t there. Well, actually, they are. Virtually all of these companies send employees to the show – either under the bike brands name, or simply under various other names. That means that these companies are there conducting business, but aren’t actually truly supporting the event as a legit exhibitor. So when a retailer looks at an exhibitor list, they won’t find these companies on it – even if those companies are actually present. Mind you, this is hardly limited to the biggies either. Nor is it limited to Interbike. It’s common for companies of all sizes to skip exhibitor space in favor of side meetings in hallways or dedicated hotel suites just offsite (or even onsite). This is often driven by cost, due to an event’s exhibitor space simply being too pricey to justify. Though, I haven’t heard that to be a major driver in the case of Interbike specifically (whereas in the case of CES, it most definitely is). Finally, the last bit of trouble for Interbike was the explosive growth of Sea Otter as a key industry meeting place (which takes place in April). That show has become popular not just with industry, but consumers alike. It bills itself as a cycling festival that happens to have an industry/conference component. And that’s definitely true. It’s no-doubt festival first (which is why everyone enjoys it). But that also means that it’s actually not a great place for industry and behind closed door meetings. Virtually all booths are open-air tents that water and wind easily penetrate. Nor are there great spots for private conversations. This isn’t a knock on Sea Otter, but rather making it clear that it’s not really a good replacement for Interbike – at least in its current form. In any case – I’ll be bummed to miss going to Reno/Tahoe again next year, if for no other reason than the riding and hiking itself. Awesome spot for it. But I’m hoping that Interbike will be able to figure out in 2020 an event time and locale that works better for the industry. And I’m hoping the industry itself remembers that if they want an event to succeed, it’s gotta be diverse and include players big and small. It’s been an interesting few weeks for Strava, and this time they didn’t even do anything to get themselves in trouble. Instead, it’s been other companies innovating around them that I’d hope is causing someone there to re-think what a product roadmap is. 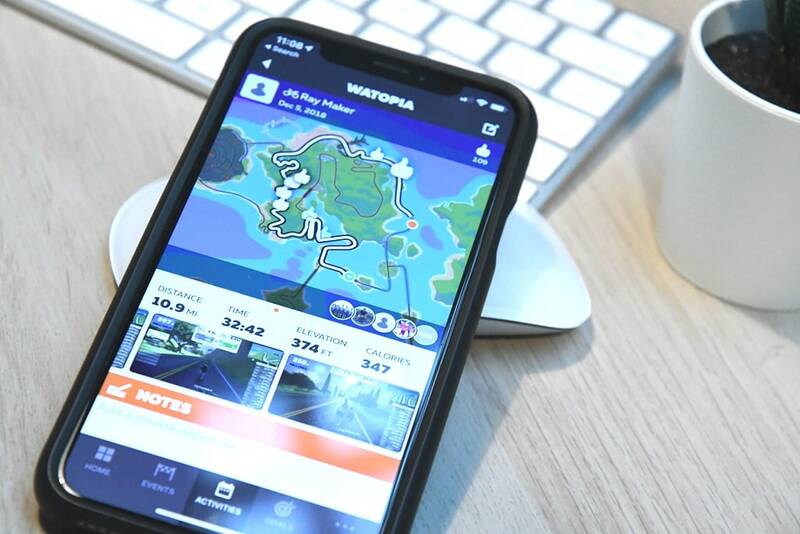 First, we had Specialized last week announce a new group-ride planning and tracking app (that’s free, btw), and then today we’ve got Zwift announcing a significant increase of social features in their companion app. Both of these moves are squarely aimed at Strava – even if all companies pretend they’re still friends (which they will of course). – New post-activity analytics including graphs on speed/power/heart rate. Runners also get running splits. So, all but the bottom three are direct competes with Strava. It can’t get any more Strava than that. Again, I’m sure Zwift would say they’re not competing with Strava, blah, blah, blah. But ultimately, they are. People are absolutely deciding where to spend that monthly sports platform ‘allowance’, and if they realize that they can get much of the same experience in Zwift, why spend more for Strava? Of course, as it sits today I wouldn’t say that Zwift’s new companion app features are a replacement for Strava’s. 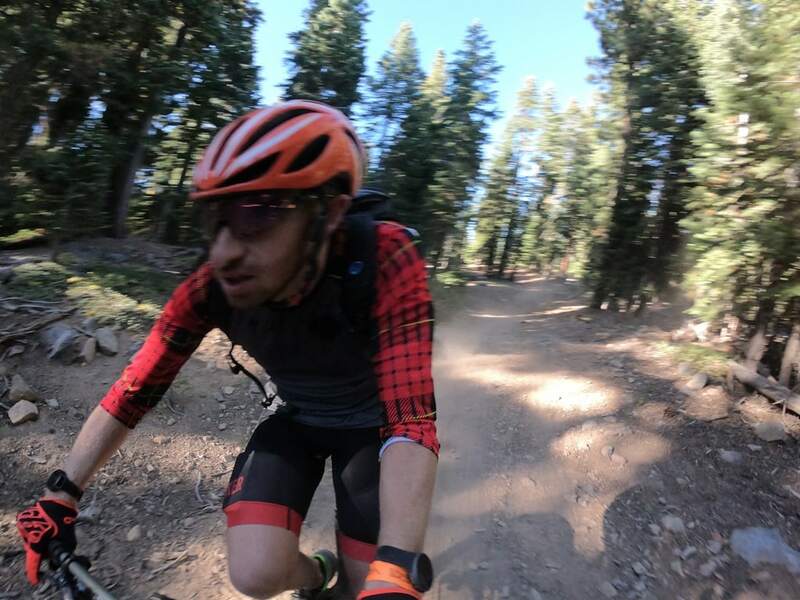 As of today Zwift doesn’t account for outdoor workouts off the platform (something that competitor TrainerRoad does however), and Zwift doesn’t account for other sport types like skiing or swimming. And, and, and. Lots of reasons. But ultimately, you can’t boil the ocean overnight, and Zwift has piles of money to throw at these sorts of things. The new analytics feeds are another example of that – with more detail than before. Again, Strava has more detail than this today, but these sorts of metrics are trivial to expand upon. We’ve seen more training platforms do something like this, the key here is making it more and more social. Now some of you might ask how’s this any different than Polar, Garmin, or Suunto and their activity feeds with similar functionality. Does that compete with Strava? Of course it does. Many of you have stated exactly that. You’ve noted that you get ‘good enough’ analytics from those companies, and that you just use Strava for cross-device social elements. Which…is exactly that Zwift is aiming for here. Now, some would say to use ZwiftPower for some of this – and I think ZwiftPower is doing cool stuff. But ultimately I think it’s a huge mistake for Zwift to half-load some of that to a 3rd party platform. Zwift should be putting in place an API that allows 3rd parties to do things within an approved framework (be it better organization, managing results, etc…). But fundamentally the end-state results of who placed where and whether someone was DQ’d should absolutely reside on Zwift. Trying to say that an athlete has to go to a 3rd party site to find out where they actually placed is frankly the dumbest thing I’ve ever heard of. Can you imagine if Ironman or the Tour de France did that? That’s nuts. Yet, that’s actually what happens today. Again, some will probably get all upset and misunderstand me: I’m not saying do away with ZwiftPower. In fact, I’m saying the opposite: Give them more power, but do it through actual legit API’s. Make it truly above-board. But also don’t force users there. Heck, the above screenshot even shows the confusion itself. It notes some 33,000 registered riders. Yet Zwift stated just yesterday that they have 500,000 registered riders (note: Definitely not active, but that’s fine, we’re comparing registered to registered here). So, only 6% of Zwifters know about this 3rd party site. Races should have specified organizers within the Zwift platform, and that organizer (an actual person, not an uncontactable bot) should be making DQ decisions. If a racer wants to appeal that decision, then it should be to the specified organizer of that event. All of which should be tracked within Zwift. That takes Zwift out of the feedback loop, but also keeps racers within the platform for final results. Again, there’s tons of ways 3rd party platforms could do incredibly cool analytics (à la Dimension Data for the TdF), but ultimately the final results are always within Zwift. This isn’t really practical or scalable. Even if looking at a typical cycling or tri team, you might have hundreds of registered members, of which only a portion will attend. It’s limited to 50 people as well. So you manage to go in and manually invite 50 people, and of course only 10 of them show up. Ideally this would simply be an event with a URL I could post somewhere else, or subscribe to a concept of teams or groups within the app. I’d love to be able to publish a URL to Twitter or such for people to join up. Again, they’ll get there – the whole boil the ocean thing at play. Anyway, interesting stuff from Zwift for sure. And don’t forget about the DCR Livestream coming up in a few hours here! Update: Stream’s over, but you can watch the whole thing on replay below! Note: The audio is less than ideal until about the 8-minute marker, then our brainpower figures it out. Enjoy! With that – have a great weekend ahead! I bailed on Zwift…$15/mth is too much considering the level of riding I do on it…maybe 2-3 times a month. I was on for its Virtual World and…well that is it. Patiently waiting on the Yearly App update. Hopefully Zwift doing its own social thing might just stop my Strava feed just being a constant list of friend’s warm ups and zwifting (complete with the same repetitive screenshots) as it seems to be at this time of year! It’s called Stravini, and you filter out all that Zwift crap. Ooh, thanks. Added, much better now! Come late March, when the weather is tolerable (if still unpredictable) here in DC I’ll stop using Zwift until next November, and go back to my main platform being Strava. I think that says a lot… Zwift is pretty much all indoor and its super cool, but Strava is where the meat and potatoes of my data and info get sorted and stored. The other great thing, as mentioned in the piece, is that Strava is very cross-platform and it simply works. I do a run, a ride, a row, and my information and data are there when I settle back at home afterward. The interface is clean and can I view it easily on my phone or computer (which I use more than anything, shock, and horror!). Zwift’s encroachment and its new features will be fun, but not everyone Zwifts, and not everyone wants to pay for it either. I can get a lot out of free Strava if I want (but I do use the paid). What I am hoping from all this is that it pushes Strava to innovate more quickly, (Why can’t I get an easy yearly total of miles from ALL activities? Why are endurance sports other than running, swimming, and cycling given only cursory support?) What comes next will be interesting indeed! Try VeloViewer if you want to get more stats from your Strava data. It makes it a lot easier to get annual totals, and compare with previous years etc. I just bailed on Zwift due to the $15/mth (up from $10). I travel too much and only use it 2-3 times a month and liked for its Virtual World and….not much else. Patiently waiting on Ray’s app review to try something new. The real value of Zwift for me is the ability to tolerate longer indoor rides. Make that ANY length indoor ride. I’m happy to pay the monthly for that. The social aspects of ALL the apps and sites isn’t of interest to me while training metrics are. The product that brings that all together is going to be where I’ll head. What you are describing with Interbike is happening across different industries: the largest car show happens in Geneva and a number of top brands have pulled out. They want consumers to see their cars, not industry participants. On the other hand something like the Goodwood Revival and Goodwood Festival of Speed is absolutely booming. These are themed events (you really should take a look at them, amazing!) where manufacturers tag on, rather than the other way around. It is the future, where consumers want to have fun and purchase not through hard and captive sale channels! In more Zwift news, British Cycling have announced an e-racing national championship in partnership with them. I wonder what the rules will say about when you’re allowed to wear that national champs jersey? Too bad for Interbike. I wonder, is Eurobike in danger too??? No, Eurobike has the opposite problem – it’s hard getting an exhibitor spot there. 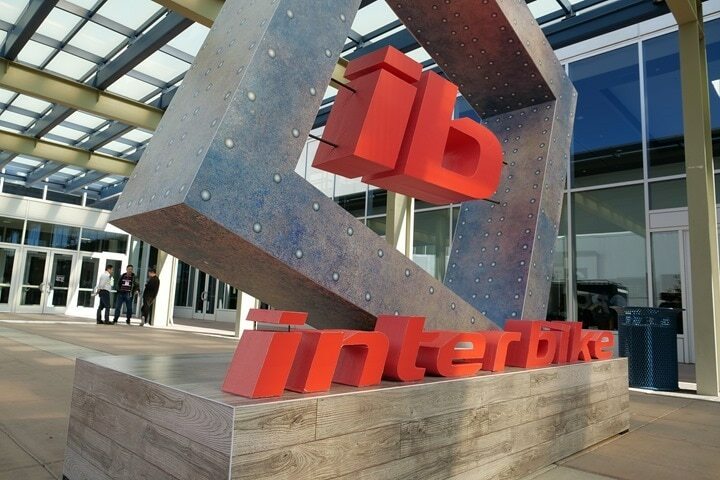 Why is Eurobike successful when Interbike is not? B) Eurobike comes before Interbike in the calendar, generally by about 2 weeks, which means that many (most?) 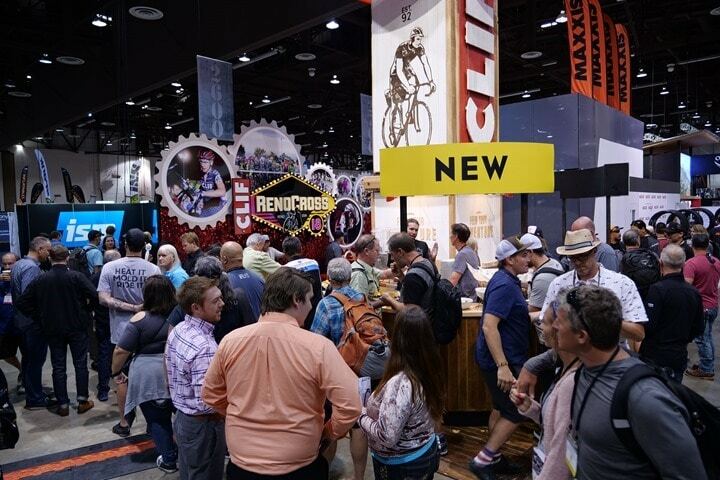 international companies will launch products there as opposed to Interbike. So there’s less of a reason for press to go to Interbike to hear about new things if they’re already announced. C) Eurobike has traditionally had a consumer day, though, not this past year. I haven’t looked if it’ll come back next year or not. D) Eurobike is in a better place for cycling than Interbike has historically been. Reno/Tahoe wasn’t bad (Vegas proper was mostly horrible), but it’s still nothing like Eurobike’s locale. It makes riding central to the event for many things. E) I’m sure there’s plenty more if I thought about it, but it’s time to find lunch. I think item #B with a sidedish of #A are the most critical. I’ve also bailed on Strava recently for the similar above reasons. Cost increase and not being interested in social side. I use indoor cycling to train, not to chit chat. So the Sufferfest has come to my rescue, good training program, and very cycling focused. Looks dated at times, but a big update is due to drop soon. Zwift news, and no mentioning of their buying Milestone? Just to quibble a bit about the Zwift results aggregation figures: in that Tour of New York event you did, there appear to have been 624 riders (I assume the app only shows finisher numbers, not all signups). In ZwiftPower that same event shows 213 finishers. So (based on a sample size of 1 event! ), I’d say at least 1/3 of Zwifters *who participate in events* know about the site. Probably more, but many choose not to share their results with the 3rd party. And the “fondo” type event probably has less crossover; I’m sure the high-level races have much higher registration. And of course many of the 500,000 registered Zwifters may never sign up for an event (and may not even ride that often!). I agree at some point Zwift will need to own “official” results themselves, but for now I am happy going to ZwiftPower especially for some of the fun and detailed metrics they track. Sure, but it’s silly to have a 3rd party app supposedly DQ people when the core results remain on Zwift itself. Thus, you have two set of results, and therefor two winners? Product roadmap, it’s more like they’ve been on the side of the road, fixing an perpetual flat. They’ve never cared about their clients, only ways to get more users. I was a Premium member for 3 years, then realized, that I was wasting my money. I moved those dollars to RidewithGPS, which is a much better cycling activity tracker. And they, are always improving their site, unlike Strava. Strava app only shows time in power zones which I’ve always found odd. Zwift app also allows you to drag over the ride graph and see data for that point in time. The issue WRT to results is that Zwift has refused to do anything WRT to DQ’ing people. Effectively saying that they don’t want to prevent a paying subscriber from doing something etc etc. ZwiftPower evolved to perform this function. It might be better if Zwift did it directly. But at least until now they have refused to do so. The introduction of results into the companion app may have the result that more race organizers have their events configured to not display Zwift results. The only place results will be displayed will be on ZwiftPower. This has some mild side effects that make racing less pleasant, you don’t see your position in the race or the number of participants. That is why not all organizers have not already disabled it. Registration at ZwiftPower is directly proportional to the amount of racing someone does and at what level they are doing it. The proportion of A and B riders that are registered is much higher than C or D. The overall proportion of registered riders is higher for the competitive events (e.g. KISS Europe) than for the smaller events (WBR short races intended mostly for introducing people to racing). The proportion of riders registered drops dramatically for the large “featured” races, e.g. GCN, when a lot of new people get incentivized to jump in. Yeah, I guess I’m not entirely understanding why ZwiftPower has to be separate. In some ways, it’d be attractive acquisition of concept/functionality. The challenge I see is that Zwift has been waving the ‘eSports is everything’ flag for a while. Be it at the IOC (for 2028 exhibition inclusion) or UCI (for obvious reasons), and most recently this week at British Cycling. But all of that sidesteps the really stupid-simple questions about how races should be managed. But ultimately, I don’t understand why the core of results should ever be outside of Zwift. I think Zwift should allow (like Strava) a strong API that encourages cool analytics, etc… But using Strava as an example, your actual results remain the same in Strava no matter what analytics a platform does on them off-Strava. Same should apply to Zwift. I’ll agree to disagree. While it would be nice if Zwift did a better job of it, managing DQ’s, etc, it is reasonably obvious that they don’t want to perform that role at this point. Second, for better or worse, ZwiftPower is small and flexible, that means that a lot of experimentation can take place quickly as a result of the racing communities feedback. This is good for everyone including Zwift, but unlikely to be possible if it had to be a managed process within Zwift. The ZwiftPower Opt-in rate as a percentage is very high for what you might call serious Zwift racers. In a high-end race (e.g. KISS Europe) it is 90% or higher for the A and B top 10. Currently, the number of opted-in riders sits at 34,000, and that is increasing by about 1000 every three to four days. Coincidentally as I type this I am listening to your DC Rainmaker Live Q&A w/GPLama & DesFit, as you discuss and promote some single dev apps. So I know that you appreciate what small independent developers can do and are doing. You should review what ZwiftPower is doing, to see where they are at. For those of us who are becoming what Greg Leo calls Indoor Specialists, ZwiftPower is starting to be the daily review instead of TrainingPeaks and definitely of (far) more interest than Strava. Yup, but I think using the example of TP and Strava, that’s correct – that’s what I want ZPower to be for Zwift. But in that example, the underlying data from the source (Zwift) doesn’t change on those platforms. It’s sliced and diced and analyzed, but fundamentally if you rode 50 miles, you still rode 50 miles. My point is that Zwift needs to both better control the end-data (results), but also give empowerment to 3rd party apps to manage results within the platform, and then analyze the data to their hearts content off platform. IMHO, there should *never* be a case where someone competes within the Zwift app, and it shows 1st place there, but DQ somewhere else. That should all be one cohesive engine. What I’m saying is that a race organizer (whowever organized that event), should be able to DQ a person witihn the Zwift platform/engine. Thus, the results always match. When you join a race, you fall under the rules of that race. In other words, just like real life. GDPR rather killed off ZwiftPower as a truly useful resource for me. I used to check it for who I ran or roder with in group runs & rides (as well as races) but now it is just the minority that have signed to up it as GDPR prevents showing data for people who have not signed up. As mentioned, race results where less than half the people you raced are listed is somewhat unsatisfactory to say the least! Presume if ZwiftPower was “owned” by Zwift the GDPR problems largely go away. After all IRL you cannot enter a race and opt not to be in the results. Well none I have ever been in. Zwift does provide a private API for ZwiftPower to use to get race and power data. Zwift could extend that API to allow ZwiftPower to push back DQ information. That would be the simplest solution, and not difficult to implement if Zwift thinks it is important. Couldn’t agree more with this. This should have been a core feature when Zwift first rolled out. I’m sure they don’t want the headaches of officiating results. Racing on zwift is what makes training fun. I look forward to my trainer sessions now. I wish there was an alternative to Zwift that was strictly racing oriented without all the social cruft, running (what’s the point?) 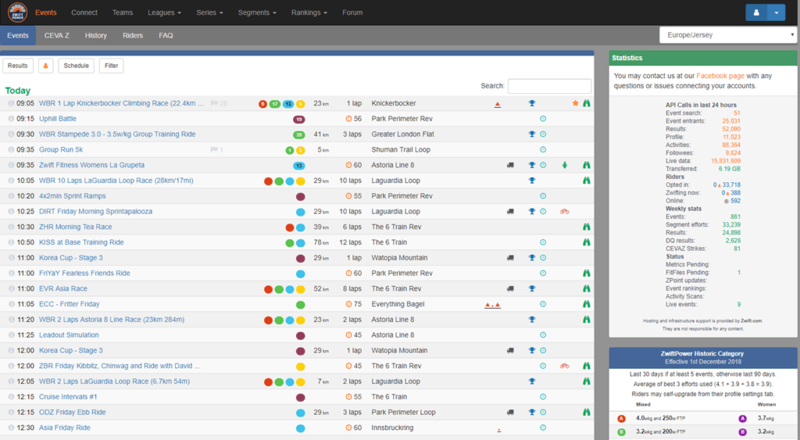 and the garish UI. there was so much echo that the conversation was difficult to follow. Yeah, we got most of it figured out around the 8 minute marker – it’s much better after that. Totally agree with you Ray on Zwift and race results. I am registered for Zwiftpower and, like you, think it is great. BUT the hugely annoying thing is that loads of people in the race aren’t registered with ZP and so the results – which only list those in the race who are registered – are meaningless. This has been made worse by GDPR as data can’t be used without people expressly consent. The answer is simple. ZWIFT needs a rule that you can’t race unless you consent to your data being used in the results. Then they can publish a proper results list. To be clear, I am pretty average and finish well down the field. But it is really irritating to be shown as coming 4th on ZP when I know full well that I was more like 17th…. it detracts from the experience of having a RACE. Why can’t we get a real iPad companion app? Not sure how Zwift can compete with Strava as they aim at two different markets which for me can over lap in the winter. So this week I will do two zwift days and two outdoor ones. Zwift is excellent which is why I will pay for the winter but then disappear until November. Maybe I’m a crazy, but I think Zwift’s Companion App is now vastly superior to Strava’s iOS for reviewing cycling data – it’s almost like Zwift took the best features of Strava’s website and made it an effective mobile experience. Strava needs to catch up! When zwift made their choice of non linear flow I cancelled my premium subscription. I think he means Strava & chronological order……. With respect to Strava, why is their UI or CX so lacking and basic. I wanted to use it as a bike computer but there is no way to configure the display. Only average speed is available, not current speed, for example. Users have commented on this for over 2 years now and nothing has changed! I am really hoping this will spur Strava toward making improvements which users have been requesting for years. For example, the list of people requesting a private chat feature is huge and ever-growing–so that people can view each other’s rides and then suggest/arrange a future ride etc. without having to post their email address or cell # publicly as comments on the ride. Many times I meet someone on a ride and find their avg. speed and personalities are a match for mine; after the ride you say “Are you on Strava?” and if the answer is “yes” you can find them through the “rode with” feature on Strava. But then arranging a future ride with them becomes either a huge long list of public comments as you set it up; or someone having to post their info. Years of riders requesting something like this have been ignored by Strava repeatedly. And I’m aware that there are 3rd-party options for this, but that’s no good unless everyone you want to ride with uses them. It should be integrated in the app/website. And this should be easy to add in but Strava keeps ignoring thousands of requests. I think he means Strava & chronological flow….. I enjoy riding but at my age there’s a lot more trainer than road. Zwift suit me better than any other I’ve tried but I kinda need Strave for tracking. It doesn’t look like the Zwift Companion isn’t quite there yet but it’s probably close enough for me. User interface could use a little work though, again, at least for me. Strava’s road to fame was all about segments and social timing comparisons. So, yes it “can be more Strava” than this. 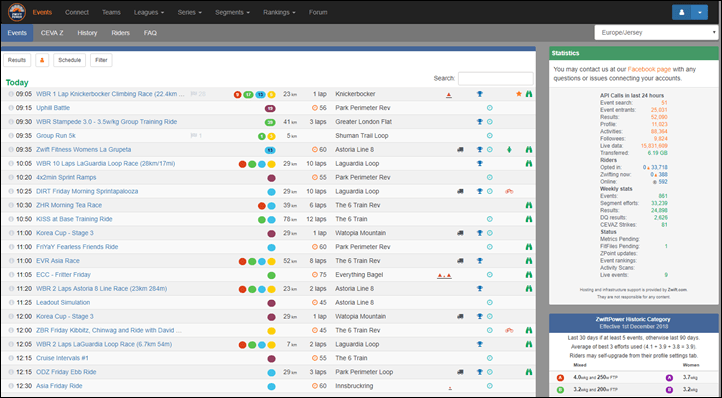 Even at the time Strava surfaced other companies provided better tools for ride analytics. If Zwift added segments (preferably a variety) then we wouldn’t need to also upload rides to Strava.